Agricenter's ShowPlace Arena is a multi-purpose facility for equestrian events, festivals, concerts, circuses, trade shows, car & boat shows, and more. 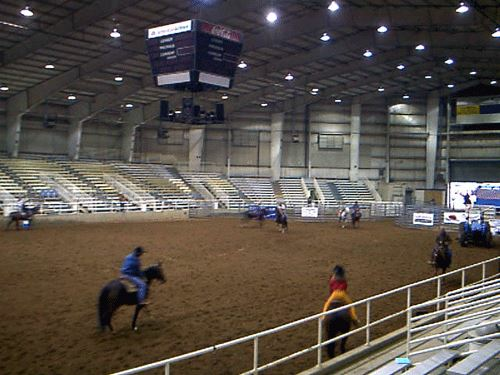 The facility offers a beautiful Main Arena, a covered Multi-purpose Arena, an Outdoor Arena, and an Indoor Warm Up Arena. There are 6 barns offering over 600 total stalls. Other amenities include a Show Office, Show Trailer, Indoor & Outdoor Ticket Booths. Shavings are available onsite. The ShowPlace Arena RV park allows guests to hook-up their trailer within feet of their horse. We also offer transient boarding with advance reservations.